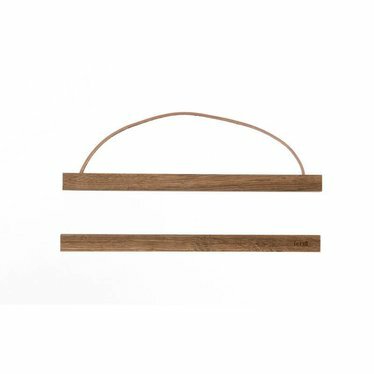 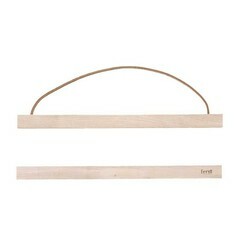 Mount your poster in a different way, for example with this wooden hanger from Ferm Living. 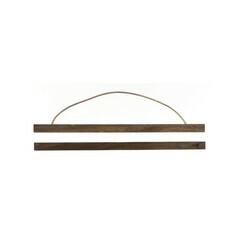 Also ideal if you do not want to frame a poster behind glass. Made of smoked oak with a leather hanging cord. 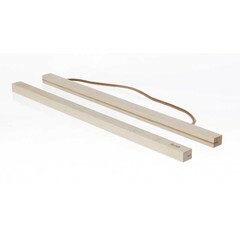 Suitable for posters with a size of up to 30 cm.